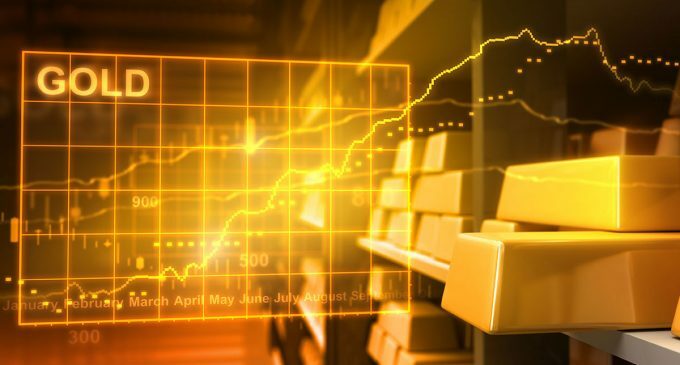 On Tuesday, gold continues to grow in price due to the expectations that the Federal Reserve will slow down the growth of the key rate. The rate has reached the highs recorded in May last year. February futures have grown by 0.4% to $ 1,308 per ounce. The price has been increasing for 3 consecutive sessions. The Fed meeting will end on Wednesday. The market agrees that the rate will remain at the same level amounting to 2.25 – 2.5%. Jerome Powell is also expected to report on a slowdown of the growth rate. The Fed predicts that this year the rate will increase twice. Despite this, experts do not expect changes until the end of 2019. Oanda in its analysis emphasizes that the oil rate is supported by the concerns about the global economic slowdown. Following the gold price, silver has risen too. The increase has amounted to 0.7%, at the moment the precious metal is being traded for $ 15.8 per ounce.